"What The School of Greatness is going to teach you is, first and foremost, what is great and special about you"
I first came across Lewis Howes, author of The School on Greatness, via his podcast a number of years ago. Lewis would interview (and still does) big timers in business, athletics, authors, etc. and each episode was a gold mine! Fast forward a few years, now comes his bestselling book The School of Greatness, which at a high-level is a compilation of the amazing insights from his podcast guests. 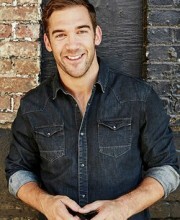 Lewis Howes, among being an author and podcast host, is a lifestyle entrepreneur, speaker, business owner, and pro athlete! In his book, he shares with us tips, insights and habits from “the greats” he’s had on the podcast which cover the following topics: Creating a vision, turning adversity into an advantage, cultivating a champion’s mindset, developing hustle, and living a life of service. What I love most about this book is its informal flow. I felt like I was listening to Lewis speak while reading it. Each chapter begins with a “get grounded” paragraph which sets the tone for the context of what is going to be read and finishes up with a “coaching tip” which leaves you with some actionable takeaways and motivation as you wrap up. "Greatness isn’t about working a lot or making a lot of money. It’s about having purpose and being the best that you can possibly be." I absolutely love the above quote from Greek philosopher, Aristotle. Simply, our habits define us. When you look at them individually doesn’t seem all that critical; it’s when you take them in combination or as a whole that they become incredibly powerful. It’s important to evaluate what good and bad habits you currently have. It’s even more important to decide what good habits that you want to adopt as well. Without knowing which habits will help you achieve your goals and who you want to be, it’s unlikely that you’ll get there. Every habit you have either helping you towards your dreams and holding you back from reaching them. "The best hustlers are all underdogs. Even if they’re not, they view themselves that way." This insight is at the root for all of those who are “successful” and it’s no surprise Lewis addresses it in The School of Greatness. Anyone who is good at anything was once a beginner at it. They had to learn their craft, work to hone it and continuing growing over a period of time to refine it. In our world of instant gratification, the fact that it takes time to become great at something is completely disregarded. Most of us get worked up when we aren’t good at something right off the bat. We may fear looking back, we probably run through a litany of what-if scenarios in our heads and ultimately become disappointed because we aren’t world class the first time we try something. Lewis give us some good coaching advice in saying “when you experience fear, move toward it. When you feel doubt, take the necessary actions to build your confidence. When you are afraid of being wrong or looking bad in front of others, be humble and vulnerable to create real human connection.” The hustle requires action and all you have to do is just start. “We are only as good and as strong as our adversity makes us,” Howes reminds us. The School of Greatness is simple a guide and a framework to discover what you’re passions are and how you can expose those passions to the world. Using his own experiences along with the knowledge from other highly successful individuals, Lewis Howes has provided us with a step-by-step blueprint to follow in order to grow our skills and abilities that will ultimately help us become the greatest version of ourselves. Now go be great!